TV Ratings Report: Did Supergirl Get a Boost for Crossover? The CW must be very happy with Supergirl. 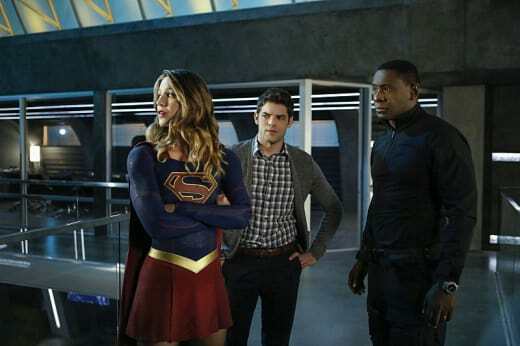 The CW: Supergirl (3.5 million/1.1 rating) hit a season high in total viewers, while matching a season high in the demo. Jane the Virgin (1.2 million/0.5 rating) hit a season high. Fox: Gotham (3.7 million/1.1 rating) was stable, while Lucifer (4.4 million/1.2 rating) jumped two tenths. NBC: The Voice (9.7 million/2.0 rating) and Timeless (4.9 million/1.1 rating) were in line with last week's results. ABC: Conviction (4.7 million/1.0 rating) hit a series high in the demo out of CMA Country Christmas (7.8 million/1.3 rating). 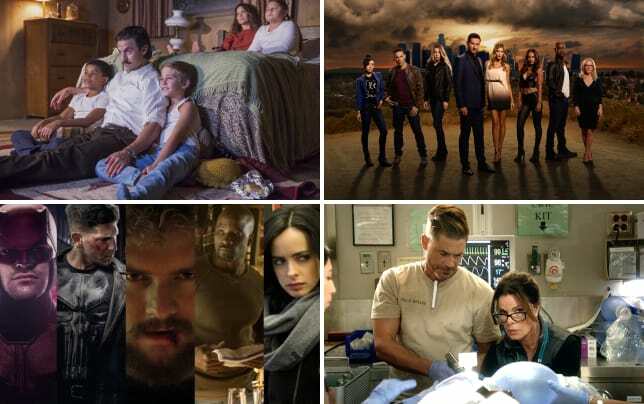 CBS: The only original on CBS was The Odd Couple (4.6 million/0.9 rating), while The Big Bang Theory (8.5 million/1.5 rating), Kevin Can Wait (5.8 million/1.1 rating), Man with a Plan (4.7 million/0.9 rating) and Scorpion (5.4 million/0.8 rating) were in encores.